If so choose a subject from the list on the left and enjoy browsing our large range of blackwork designs. 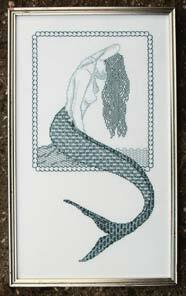 If you haven’t tried blackwork before, check out our free classes or read more about the technique at needlework-tips-and-techniques.com, our new site. Every kit includes fabric, DMC threads, chart, needle and instructions. Or choose just the chart pack if you already have plenty of materials. Kits are provided on 14 count Aida or 28 count evenweave. What’s the difference? Well the quick answer is that Aida 14 is the easiest to use but, in my opinion, projects stitched on evenweave look much nicer.